Practice with cloth sculpting. 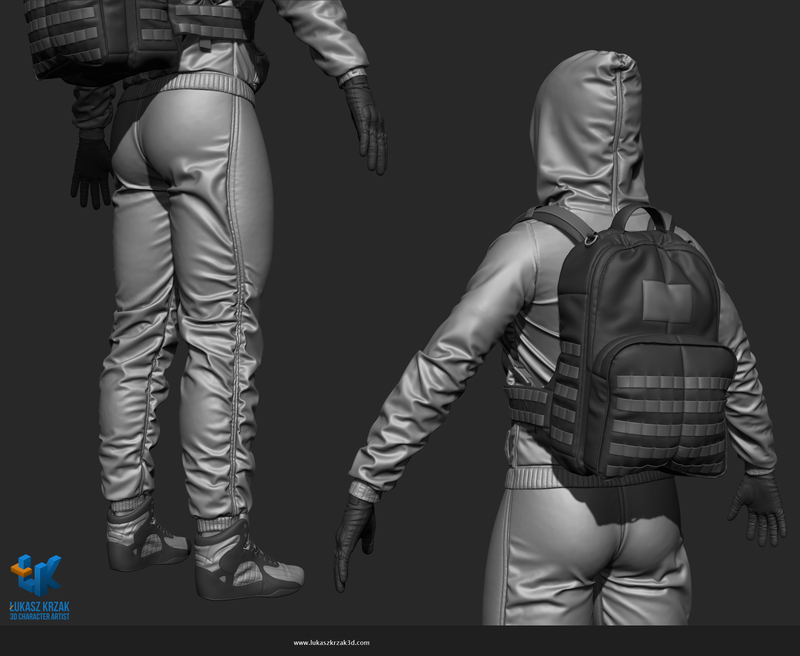 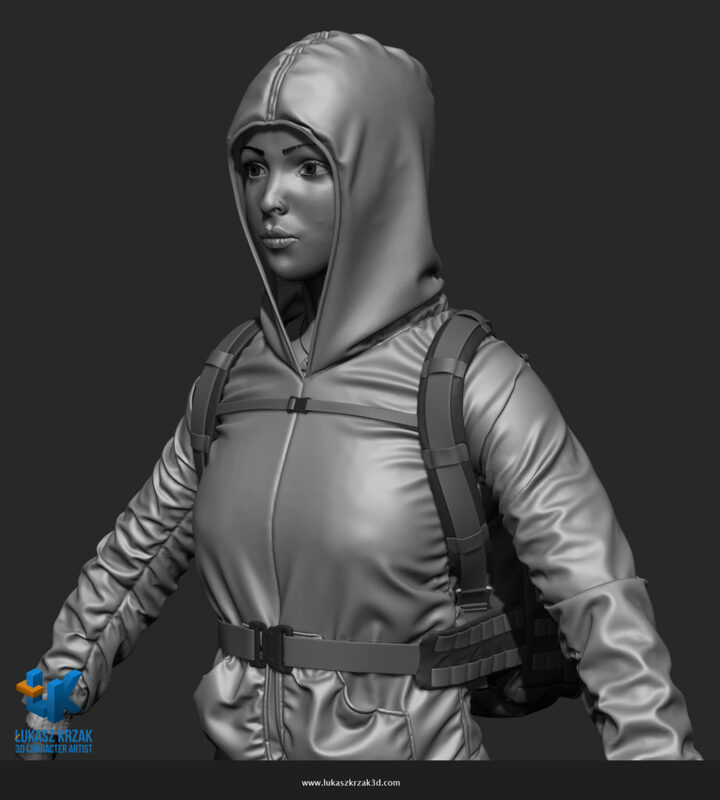 Tracksuit and backpack done with Marvelous Designer and Zbrush. 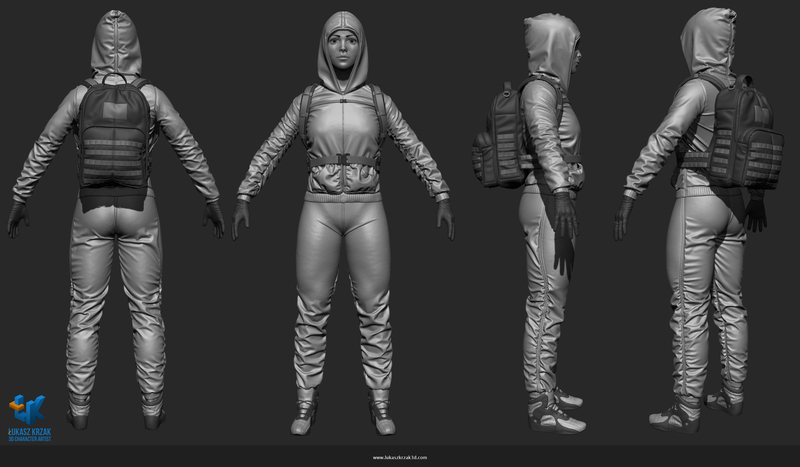 Boots is made by hand in ZBrush.